BRYAN EATON/Staff Photo. 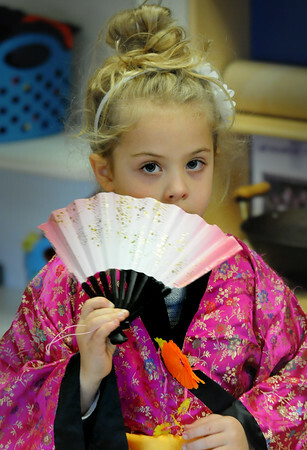 Maggie King, 4, waves her fan while dressed as a Geisha in Marianne Dower's prekindergarten class at Amesbury Elementary School. She was in the dramatic play area where the youngsters can dress as different characters and people from different cultures.